If an essential part of the Christmas Holidays is the wonderful scent of a fresh natural pine tree in your home you might have been missing out if you an artificial tree or live in a smaller home where a big fresh cut Christmas tree just isn’t practical. 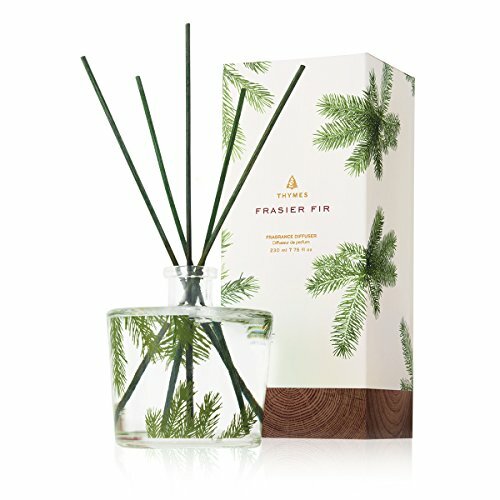 But there is great news, you can have that fresh zingy yet subtle fragrance that makes your home smell of the Christmases you remember with the beautiful Frasier Fir fragranced reed diffuser pictured below! Thymes Frasier Fir Reed Diffuser is brilliant, long lasting, economical and getting rave reviews! It captures the fresh, clean scent of newly cut pine trees perfectly and fills your home with a gentle fragrance that will make your guests do a ‘double take’ if you have an artificial tree as they will be certain that you have a fresh pine tree in your living room! This Thymes product is one of the top selling reed diffusers on Amazon.com, with an economical refill bottle of oil available to top up your diffuser if needed, this fragrance is popular throughout the winter, not just in the Holiday. Some thrifty reviewers have said that they purchased the refill to use with their own reeds and container. I think this is a great idea if you have a special Christmas vase or vessel that you would like to display by using it as the base for your diffuser. If you want to give one as a gift, there is a version with a pinecone shaped base in which to place your rattan diffuser sticks. It comes in a pretty gift box too! 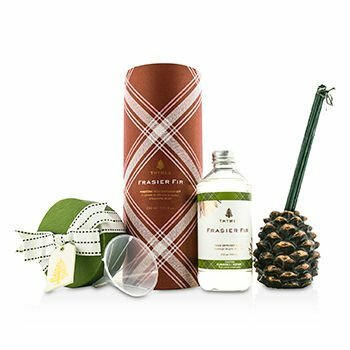 For those of us who have an artificial tree that we dig out of the loft each year because we want to be eco-friendly and not cut down more fresh pine trees, the Frasier Fir Diffuser is a great way to have the best of both worlds. Archipelago are a company best known for their Botanicals brand, including fragranced candles, bath and body products and a wonderful array of reed diffusers. An Archipelago Botanicals diffuser will fragrance your home with wonderful, natural scents to help you relax and unwind after a busy day, set a romantic mood or welcome guests into your home. These come in a range of sizes and in over 17 delicious fragrances so you are sure to find the perfect one for your home. The most popular fragrances in this range at the moment are Eucalyptus (pictured on the right), Jasmine and Verbena. There are 16 fragrance choices for this range and they come in 8.2 fl.oz bottles and there are also refills available. You can view the range available here . The smaller size, called Excursion Travel is available in twenty-two different fragrances, each holding 1.6 fl oz. The neat thing about the travel range is that each diffuser is supplied with five sets of diffuser reeds which are disposable. Set up your fragrance diffuser wherever you travel and when you pack up, dispose of the reeds and re-seal the leak proof bottle. It only takes a few seconds so you can take your favorite fragrance with you and take the scent of home anywhere in the world. The Excursion diffuser refills make an economical way to replenish the fragrance once it is spent. Each refill holds 7.85 fl oz and there are currently 13 different refills available for this range. The last collection is the Signature Archipelago Diffuser range. 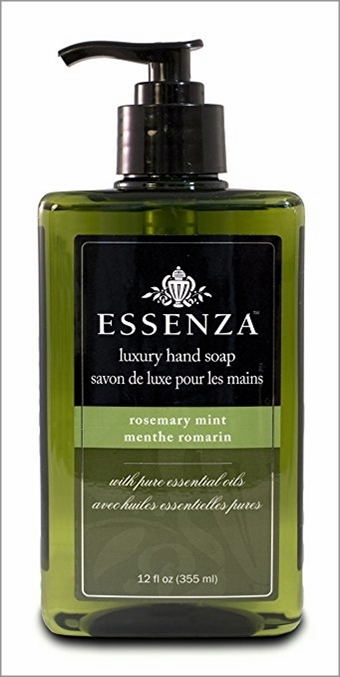 The fifteen different fragrances in this collection are supplied in diffuser bottles, each holding 7.85 fl oz. These are long lasting fragrances that will fill your home with delicious perfume for several months. When the fragrance is spent, or you would like a change, there a Signature refills range, also holding 7.85 fl oz with which you can replenish your diffuser. There are also replacement reeds available if you would like to change to a different fragrance or feel that the reeds are now spent too. As you will see, there is an Archipelago Botanicals Diffuser for every taste, every room in the home and even to take with you when travelling. 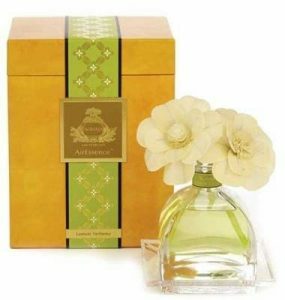 This coupled with the stylish design of the packaging and the diffuser bottles, the long-lasting fragrances and the excellent value for money – especially when buying them from Amazon, makes an Archipelago diffuser the perfect choice, whether for keeping or for giving. Woodwick reed diffusers are becoming a hugely popular best seller from this company, perhaps better known for its scented candle ranges. Woodwick produce two sizes of diffusers, a range of refills and an innovation in diffuser products, a spill proof diffuser range. The small reed diffusers from Woodwick are the perfect size to give as a gift or to introduce a friend, or family member to the benefits of fragrancing the home using an oil diffuser. They are perfect for smaller rooms such as bathrooms, cloakrooms and hallways and are great tucked away in an alcove so that you get a gentle waft of fragrance as you pass by. Each of these small diffusers is presented in a pretty glass jar with a wooden lid and supplied with a dozen reed sticks. They represent great value for money as the fragrance will last for four weeks or so. When in use, they are 22 cms tall. The three most popular fragrances in this size (at the time of writing), are Frasier Fir and styles called ‘At The Beach’ and ‘Cinnamon Chai’. View the entire Woodwick Small Diffuser range with this link! 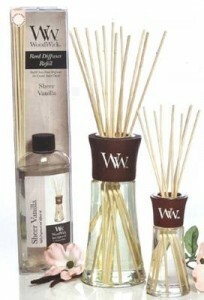 The large reed diffusers from Woodwick should go on supplying fragrance to your room for three months or longer. Again, each one is supplied in a prettily designed glass jar containing 7.4 fl. Oz of highly concentrated fragranced oil, each has a wooden lid. 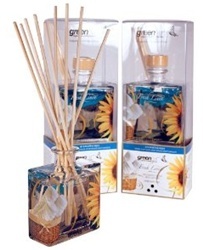 One dozen of the reed diffuser sticks come with each fragrance. View the entire Woodwick Large Reed Diffuser range with this link! To activate a diffuser, simply arrange the reeds supplied in the container so that they can absorb the oil. Place where you wish in your room, taking care to avoid high traffic areas where the contents could get spilled. It takes about twenty-four hours for the reeds to become fully saturated with oil and for the fragrance to start being diffused at the optimum rate. Whilst reed diffusers standing alone, can look very attractive, more and more people are personalising them to their individual taste and room decor by creating a reed diffuser garden. These can be bought ready-made and there is a wide choice available. 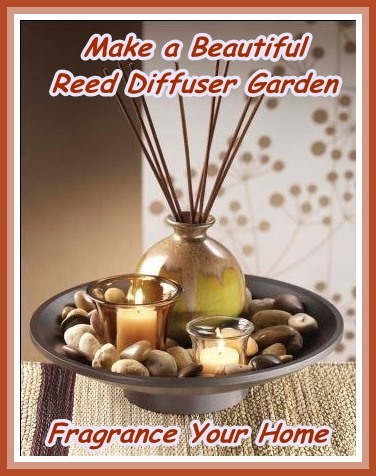 However, you can also make your own reed diffuser garden. 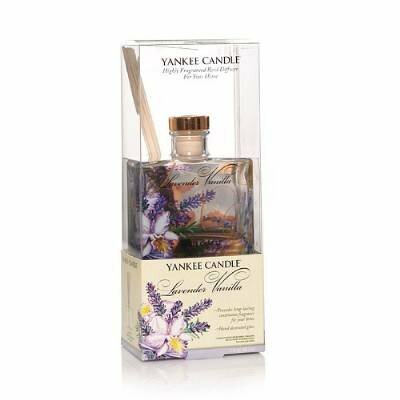 Using a Reed diffuser is a great way of adding fragrance to your home or place of work. Fragrance is a very personal thing, so there are no inflexible rules about which aroma to use in a specific place. The reeds last for a long time, but need to be changed each time you change the fragrance oil in your diffuser. If you utilise an old one then you will be merging scents. These products are accessible in packs because you need to use more then one reed for each diffuser. To find out how to choose the best diffuser reeds, please use the link to visit our article. The diffuser is the small to standard sized jar or flask that holds the reeds in place and contains the fragrance oil. The reeds soak up oils and then slowly disperse them into the air thus creating and spreading the sweet aromas you want. 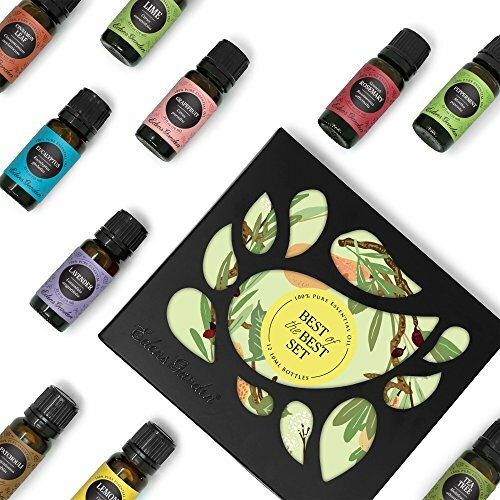 The fame of the use of essential oils to refresh your homes and business alike has created a complete new world of variety in scents. This method of releasing oil scents into the air is a new and very practical way to revive the interior of your home and reed diffuser and oils are now one of the most famous and trendy ways that people are using to make an aromatic environment. 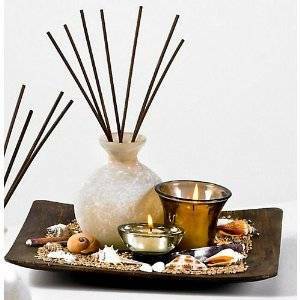 The procedure behind oils and reed diffuser is very easy. The reeds are instilled with essential oil aromas. An Essential Oils Diffuser, Your Very Own Stress Buster! Use of an essential oils diffuser is considered a form of therapy. Aromatherapy is a wonderful method to help soothe the human mind and relax the body. Thanks to science and technology, that has helped prove many positive effects over the years, this form of therapy calls for use of fragrances to help create a healing effect on both the mind and the body. Essential Oils are concentrated liquids that are extracted from plants, flowers or herbs and act as an agent that provides fragrance to perfumes or even added to food in the form of essence, to help enhance flavor. Use of these oils is now a growing trend especially with aromatherapy. They could be used during a relaxing massage, a soak in the bath tub or used in a reed diffuser. 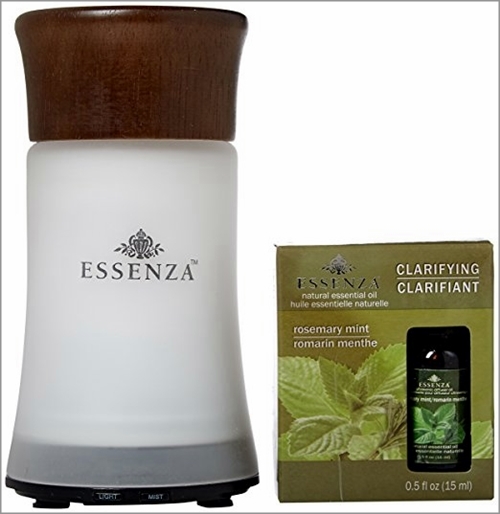 How is an Essential oils diffuser helpful? An essential oil diffuser is perfect for dispersing the aroma all across the room. This form of aromatherapy can be easily used at one’s work place, at home, in hotels, restaurants – in fact, wherever its beneficial effects can be enjoyed. Depending on one’s state of mind; one can choose to use a particular fragrance to help alter or set the mood. However, these have many uses and can be used to for so many purposes, everything from treating a terrible cold and running nose, to having a tranquilizing effect on a stressful day or just help pump start your day with an energising fragrance.